Need a reference? Just ask any of the folks at Sager’s Home Living, Vancouver Island’s favorite fine furniture store. From full cleaning to spot cleaning, furniture cleaning and Scotch guard fabric protecting are some of the principal services On the Spot Cleaning offers. With thirty years experience, the art of fine furniture cleaning has been mastered with all fabric types, even leather. When it comes to cleaning fabric, the methods vary as much as the fabrics themselves. A simple test can determine which method is appropriate for your furniture. Our furnitures often get neglected and with time soil and dirt collects. Greasy soil, pet fluids, body fluids and dust all accumulates with time and they can be very harmful to ones health. With time all this can degrade the fabric and the look of your furniture. Cleaning your furniture regularly will improve the quality and also the look of your home. 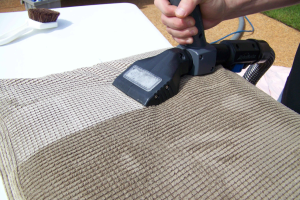 There are several methods to getting upholstery cleaned to make it last. A simple test can sure determine what method is appropriate for your furniture to keep it’s integrity. On The Spot Cleaning furniture cleaning services has first hand know on all the appropriate methods to keep your furniture clean. Most people that have leather furniture believe it to be more durable and indestructible. But without proper care, leather furniture can and will break down and take away it’s durability and beauty. Leather is a hide and as such needs to be treated to keep its moisture and fresh. Without care and treatment, leather will crack and peel. At On The Spot Cleaning, we know just the right way to keep your leather furniture as luxurious as ever. We know how to tackle that tough stain and get it out too. Don’t wait till it’s late, let us help you keep furnitures integrity and luxury.